Effective business marketing materials help you connect with your customers. We’re not talking about people just reading your website, newsletter, or brochure. We’re talking about influencing your customers to take action. How do you compose a message that gets a response? Have a great product or service. Tell your story in plain yet creative language that is easy to understand and gets to the point. Present your product information with clean and professional designs — from your printed materials (brochures and product sheets) to your website. Call for action. You’d be surprised how many people will visit a website or check out your business just because you ask them to. Your promotional materials are the face of your company. Make sure they reflect your creativity, professionalism, and quality. 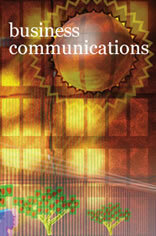 We can help you communicate with power.